Ladies and gentlemen, before we start with this article, I would like to ask you a simple question – are you a lightworker, or you know someone who is? If your answer is yes, then please, show them respect and honor their gifts, because without lightworkers our planet would be much darker. And, one more thing – all the lightworkers have different mission! But, their primary goal is to help people through their shadows and find their light. 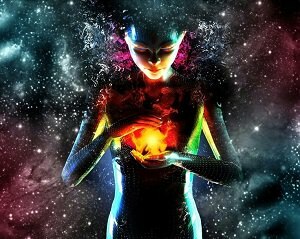 Most lightworkers are accountable for balancing the energy of fear with the energy of love. Lightworkers are great at manifesting and most often create things with just their thoughts. First of all, you’ll notice that the feeling of being misunderstood is amplified. Well yes, and you don’t feel like you belong “in this world”. You just want to return “return home.” The things that were once easily tolerated are no longer. Lightworkers have very little interest in the media and what other people buy into as “normal.” Spirituality becomes a way of life and there is no need to partake in any one religion or philosophy.